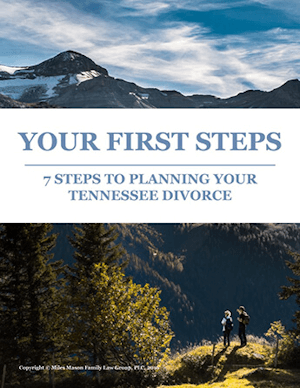 Tennessee Alimony Statute Section 36-5-121 lists and describes factors, grounds, fault, transitional, rehabilitative, in futuro (periodic), in solido, amount, type, and length of payment. Updated as of Dec. 19, 2014. 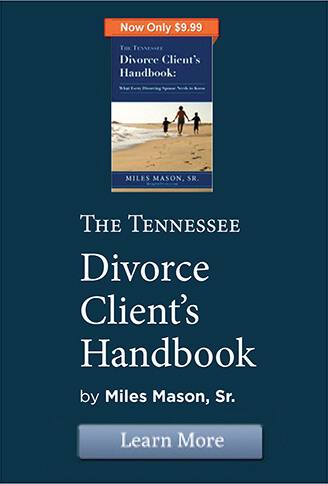 The Tennessee Legislature amends and enacts new family laws every year. Always check for the most current law. 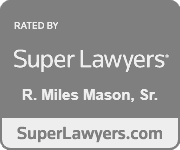 Tennessee Alimony Statute Section 36-5-121: Decree for support of spouse. (a) In any action for divorce, legal separation or separate maintenance, the court may award alimony to be paid by one spouse to or for the benefit of the other, or out of either spouse’s property, according to the nature of the case and the circumstances of the parties. The court may fix some definite amount or amounts to be paid in monthly, semimonthly or weekly installments, or otherwise, as the circumstances may warrant. Such award, if not paid, may be enforced by any appropriate process of the court having jurisdiction including levy of execution. Further, the order or decree shall remain in the court’s jurisdiction and control, and, upon application of either party, the court may award an increase or decrease or other modification of the award based upon a showing of a substantial and material change of circumstances; provided, that the award is subject to modification by the court based on the type of alimony awarded, the terms of the court’s decree or the terms of the parties’ agreement. (c) (1) Spouses have traditionally strengthened the family unit through private arrangements whereby one (1) spouse focuses on nurturing the personal side of the marriage, including the care and nurturing of the children, while the other spouse focuses primarily on building the economic strength of the family unit. This arrangement often results in economic detriment to the spouse who subordinated such spouse’s own personal career for the benefit of the marriage. It is the public policy of this state to encourage and support marriage, and to encourage family arrangements that provide for the rearing of healthy and productive children who will become healthy and productive citizens of our state. (2) The general assembly finds that the contributions to the marriage as homemaker or parent are of equal dignity and importance as economic contributions to the marriage. Further, where one (1) spouse suffers economic detriment for the benefit of the marriage, the general assembly finds that the economically disadvantaged spouse’s standard of living after the divorce should be reasonably comparable to the standard of living enjoyed during the marriage or to the post-divorce standard of living expected to be available to the other spouse, considering the relevant statutory factors and the equities between the parties. (2) It is the intent of the general assembly that a spouse, who is economically disadvantaged relative to the other spouse, be rehabilitated, whenever possible, by the granting of an order for payment of rehabilitative alimony. To be rehabilitated means to achieve, with reasonable effort, an earning capacity that will permit the economically disadvantaged spouse’s standard of living after the divorce to be reasonably comparable to the standard of living enjoyed during the marriage, or to the post-divorce standard of living expected to be available to the other spouse, considering the relevant statutory factors and the equities between the parties. 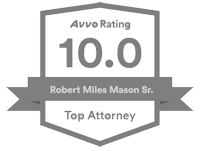 (e) (1) Rehabilitative alimony is a separate class of spousal support, as distinguished from alimony in solido, alimony in futuro, and transitional alimony. To be rehabilitated means to achieve, with reasonable effort, an earning capacity that will permit the economically disadvantaged spouse’s standard of living after the divorce to be reasonably comparable to the standard of living enjoyed during the marriage, or to the post-divorce standard of living expected to be available to the other spouse, considering the relevant statutory factors and the equities between the parties. (f) (1) Alimony in futuro, also known as periodic alimony, is a payment of support and maintenance on a long term basis or until death or remarriage of the recipient. Such alimony may be awarded when the court finds that there is relative economic disadvantage and that rehabilitation is not feasible, meaning that the disadvantaged spouse is unable to achieve, with reasonable effort, an earning capacity that will permit the spouse’s standard of living after the divorce to be reasonably comparable to the standard of living enjoyed during the marriage, or to the post-divorce standard of living expected to be available to the other spouse, considering the relevant statutory factors and the equities between the parties. (2) (A) An award of alimony in futuro shall remain in the court’s control for the duration of such award, and may be increased, decreased, terminated, extended, or otherwise modified, upon a showing of substantial and material change in circumstances. (j) Where the lump sum amount of retirement or pension benefits or of balances in an individual retirement account, §§ 401(k), 403(b), 457, codified in 26 U.S.C. §§ 401(k), 403(b) and 457, respectively, or any other tax qualified account has been considered by the trial court, and determined to be marital property to be divided, the distributions of such lump sum amounts necessary to complete the division of property, whether distributed in a single payment or by periodic payments, shall not be considered income for the purpose of determining a spouse or ex-spouse’s right to receive alimony or child support, but the income generated by the investment of such lump sum awards shall be considered income for such purpose. (k) The court may direct a party to pay the premiums for insurance insuring the health care costs of the other party, in whole or in part, for such duration as the court deems appropriate. (l) To secure the obligation of one party to pay alimony to or for the benefit of the other party, the court may direct a party to designate the other party as the beneficiary of, and to pay the premiums required to maintain, any existing policies insuring the life of a party, or to purchase and pay the premiums required to maintain such new or additional life insurance designating the other party the beneficiary of the insurance, or a combination of these, as the court deems appropriate. (m) The order or decree of the court may provide that the payments for the support of such spouse shall be paid either to the clerk of the court or directly to the spouse, or, in Title IV-D cases, the order or decree of the court shall provide that payments shall be paid to the central collections and disbursement unit, pursuant to § 36-5-116. (n) Nothing in this section shall be construed to prevent the affirmation, ratification and incorporation in a decree of an agreement between the parties as to support and maintenance of a party. (o) Any order of alimony that has been reduced to judgment shall be entitled to be enforced as any other judgment of a court of this state and shall be entitled to full faith and credit in this state and in any other state.